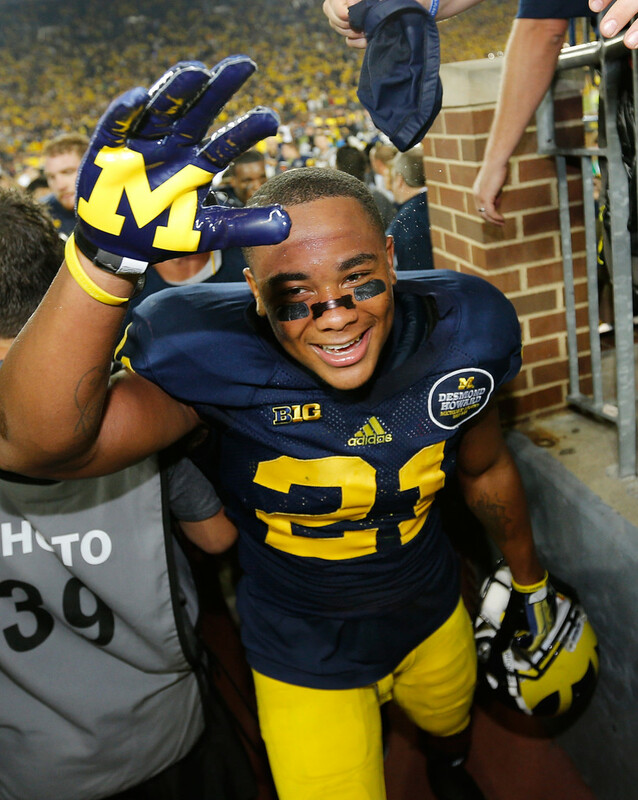 College football in underway and the first week was just amazing. Miracles, upsets, and of course blowouts. Here are my reactions to this crazy week. I guess replacing your legendary quarterback is not hard as it seems. Oregon, Florida State, and UCLA all had loader rosters coming into this year, but the only question mark was the quarterback position. Marcus Mariota, Jameis Winston, and Brett Hundley are al l in the NFL and their alma maters were left searching for a QB. I think all of these schools found their man. UCLA’s true freshman Josh Rosen was exceptional against Virginia. There were no first start jitters, there was just greatness. 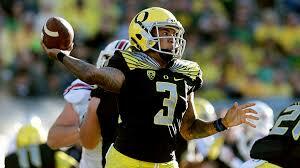 Graduate transfers Vernon Adams Jr and Everette Golson also had great games. Adams Jr, now at Oregon, scorched his old teammates at Eastern Washington. Adams threw for 246 yards and two touchdowns. What makes Adams so explosive is his running ability. He had 94 yards on the ground. I think it is safe to say that these three programs will be just fine with their new quarterbacks. Let the non-stop coverage begin. After a abysmal bowl performance last year, the SEC only lost one game this week, and that was Vanderbilt. The dominance is back. 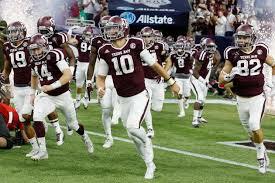 The most impressive performance by an SEC team was the Texas A&M Aggies. After embarrassing 15 ranked Arizona State. Alabama looked like Alabama, and Auburn squeaked out a win against a dangerous Louisville team. Although I hate to admit it, the SEC is taking back the crown for conference supremacy. Stanford, Nebraska, and Arizona State were all popular picks to make the playoff. It looks like those picks may come to a stop. The battle of the brains took a rough turn on the highly favored Cardinal. 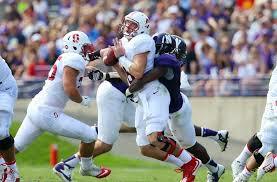 Northwestern, yes Northwestern shut down Kevin Hogan and the Stanford offense. The Cats defense looked like they played in the SEC. I know my Grandmother loved to see that. She is a grad from NU and is a huge fan. Nebraska had it’s heart ripped right out of them by a Hail Mary with one second left on the clock. 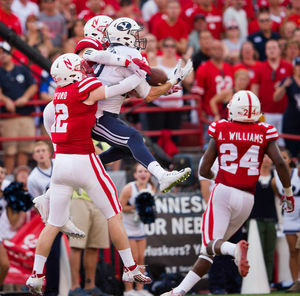 BYU created the moment of the week when backup quarterback Tanner Mangum launched a prayer that sent Husker fans to tears. Arizona State was very disappointing. They got man handled by a questionable A&M defense. ASU did not look like a contender Saturday night. The rematch is tonight. 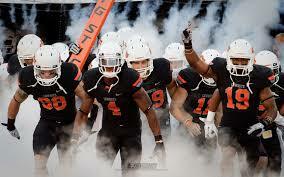 The only team that could beat the Buckeyes last year was the Virginia Tech Hokies. Now the game is in Blacksburg and this is a much improved Tech team. Of course Ohio State will be heavily favored tonight, but they will be playing without their best player, DE Joey Bossa. Bossa is suspended for the game in Blacksburg. 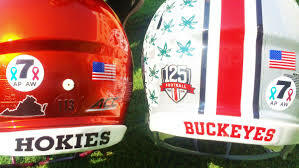 Without Bossa I believe the Buckeyes will struggle, and Virginia Tech’s defensive coordinator Bud Foster will have something up his sleeve. Tonight the Hokies will run the ball, play lockdown defense, and shock the World.